Today I’m going to show you how to form a good answer for IELTS speaking part 2. I will show you how to analyze the question, make notes, and then give a satisfactory answer. 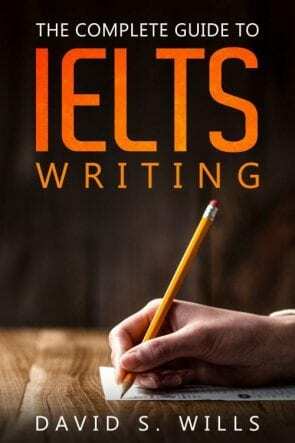 Normally, there isn’t much analysis needed for an IELTS speaking part 2 cue card; however, you still have to be careful to ensure that you correctly understand the task. Above, I have underlined “memorable holiday” because it is what you need to describe. This means that it must be a holiday you can remember well – either for good or bad reasons! It also is a holiday and not the destination. You can’t simply talk about Paris for 2 minutes. Apart from that, follow the suggested talking points as they are helpful. You should make useful notes to help you speak fluently for 2 minutes. Don’t waste time writing too much, and never attempt to write full sentences! You will simply run out of time. You only have 1 minute to make notes. That means you should just write ideas and key vocabulary. Note that these only took a short time to write, but they are very useful for structuring a talk and reminding me of important words or phrases. Here is my sample answer to the above IELTS speaking part 2 question. In the summer of 2016, I visited Indonesia. To begin with, I was travelling with my friend, but then I took a boat trip alone. The boat sailed from the island of Lombok to a place called Komodo National Park, which is famous for being the home of the Komodo dragon – an amazing species of lizard. We sailed for four days and four nights on rough seas, but it was a beautiful trip. In the day time you could just relax and watch the islands go by, and at night you could see an incredible number of stars. Sometimes the boat would stop and we could go swimming or snorkeling. I swam with manta rays, dolphins, giant moray eels, and countless other fish. Sometimes you could go trekking on remote islands and climb to the very top to see the astounding views. It was a memorable experience for me because of the exotic wildlife and stunning views, as well as the feeling of being on the sea at night, under all those stars. Notice how I included details about the trip without going off topic, and used descriptive language to express the things I saw and did. I also addressed all points on the cue card and used appropriate vocabulary and grammar.